Do you have an online Shopify store? Are you looking for new interactive design and functionality for your Shopify store? If yes, we can be a good choice. We are specialized in Shopify shop design and development. 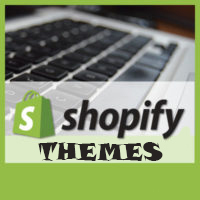 We have a dedicated team of Shopify developers. So you do not need to worry about the quality of our work. Snowfall Effect by Anh Kiet: The app for making it snowfall in your store. Facebook Album by Anh Kiet: The app for showing your Facebook Albums into your Shopify store. Theme Switcher by Anh Kiet: The app gives your users the ability to switch between themes from the front end of your site. Visitors with the opportunity to choose different theme designs quickly and easily. AntiCopy: Protect site’s content from being reused by malicious merchant. Fireworker: Creating firework effect on your Shopify store. Floatton: Add floating link buttons to your Shopify store. Replace Broken Images: The plugin will help to replace broken images in post and pages by a default image. HMAK Facebook Photos: The plugin will help to show Facebook Photos or Facebook Album on your WordPress website. Youtube And Vimeo Video Downloader: Simple php script for downloading online video from Youtube or Vimeo. Short URL Expander: Get long URL from hundreds of URL shortening services. URL Shortener Without Database: URL Shortener is a service create a shortened URL from long URL. IP Location Finder: Find a geolocation of an IP address including latitude, longitude, city, region and country. Lookup Instagram User ID: The script will allow you to lookup your Instagram user ID. Currency Converter: A simple currency converter that allows you to quickly check the latest currency exchange rates. Media Search Engine: The tools to search video, photo on Youtube, Vimeo, Dailymotion, Flickr. Hura.Ga: Service create a shortened URL from long URL. DownloadYoutubeVideo.Info: Simple Youtube video downloader. URLChecker.Info: The tools to unshorten any short url, check your website for broken & dead links and find a geolocation of an IP address. IPLocation.Ga: Find a geolocation of an IP address including latitude, longitude, city, region and country. DownloadInstagram.Ga: The tool allows you to download high quality photos and videos from Instagram. Please contact me and let me know your issues, I will help you! You can either use PayPal or Western Union to send your payment. If you’d like to negotiate for other forms of payment just send me an email at the Contact page.